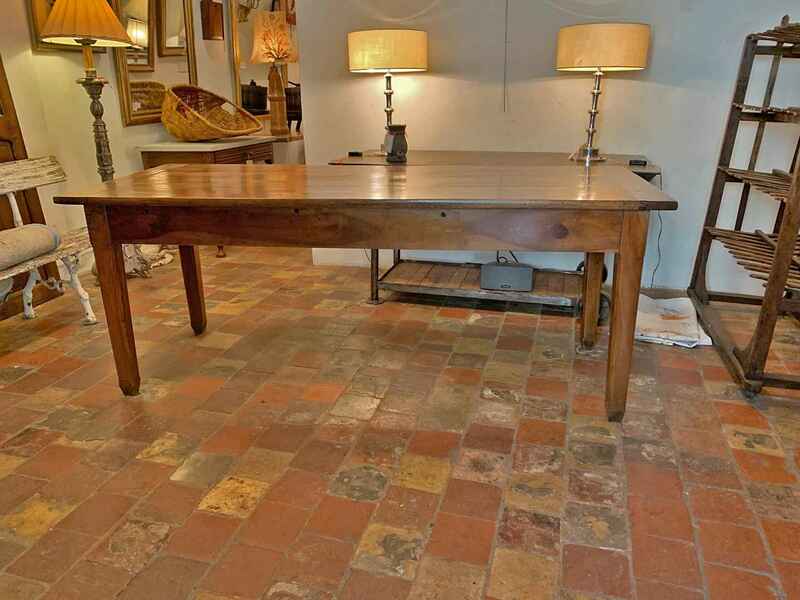 19TH CENTURY FRENCH WALNUT FARM TABLE WITH ONE DRAWER. CIRCA 1840. H 31¼" H (APRON) 24" L 79" W 31½"
19TH CENTURY FRENCH WALNUT FARM TABLE WITH ONE DRAWER. CIRCA 1840. H 31¼" H (APRON) 24" L 79" W 31½"